Master Levels mt5 free (full version) analyzes the market situation over the last few days and determines the current levels. It tracks the breakouts of these levels. Trades are opened in the breakout direction. The Expert Advisor is fully automated. Master Levels is equipped with a flexible position management system. The trailing stop system allows to protect the obtained profit. 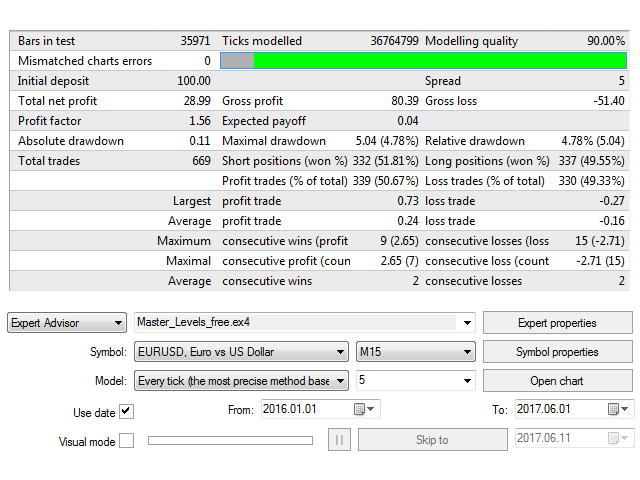 Depending on the settings, the EA can work both as a scalper, and as an expert with medium profit targets. The EA is able to work in two modes: market orders and pending orders. Pending orders are used by default. 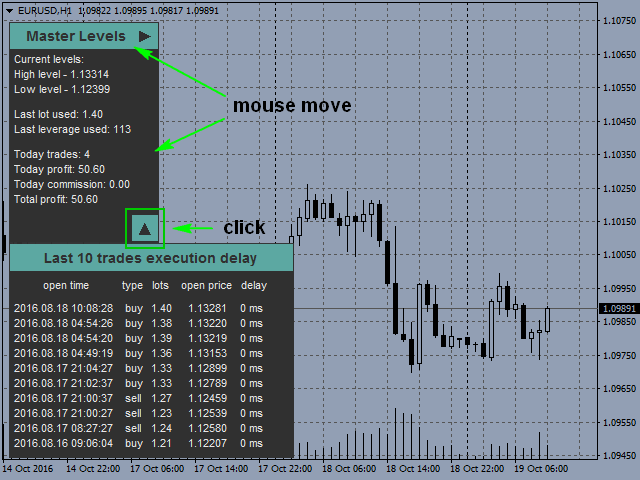 Master Levels allows controlling slippages and spread at the moment of entry, which is crucial for a scalper. The EA implements algorithms for limiting its operation by time. There is a trading pause module. You can set any interval, for example, time of news release, during which new trades will not be performed. You can also choose the actions for the open positions during the specified pause interval. Default settings are intended for operation on ECN accounts with the average spread less than 10 points. 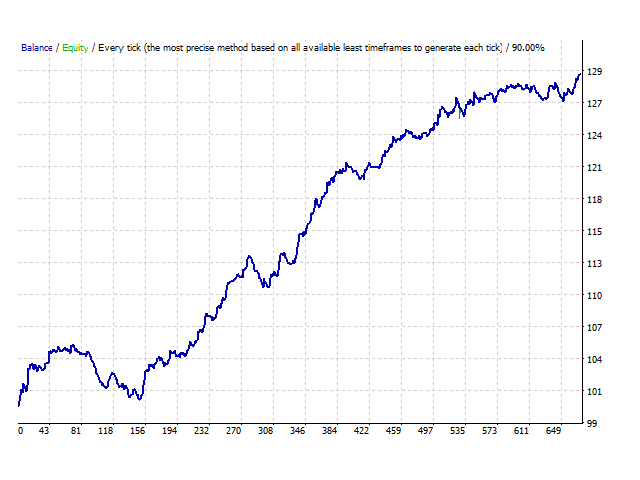 Optimized for EURUSD M15. Days analyze - The number of days to analyze the levels. The latest days are considered, including the current. Level amplitude - The minimum required amplitude for the levels. The price should pass the specified distance on both sides of the level. Entry shift - Entry distance. Offset in points from the level, where entry is made. Negative value - entry on reaching the level. Positive values - after crossing the level. 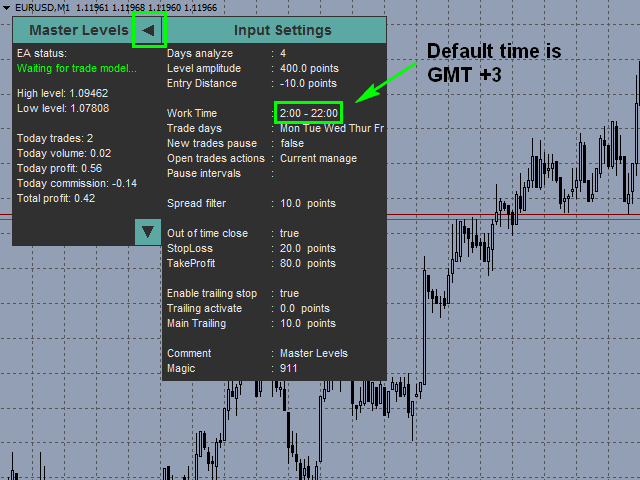 Days filter - Disable trading on certain days of the week. To disable, set to false. Pause intervals - String for setting the pause intervals. You can define several intervals. The format is hh:mm-hh:mm, or hh:mm-hh:mm;hh:mm-hh:mm;......;...... The intervals are active during the current and subsequent days until disabled.